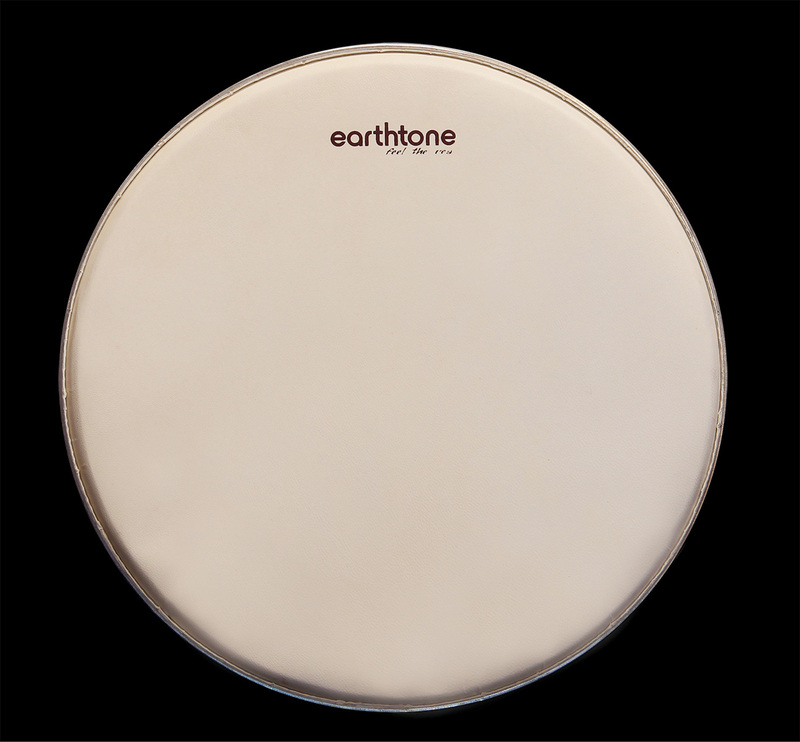 Earthtone resonant heads are made of a thinned layer of genuine calfskin. When used together the top and resonant head compliment each other. In comparison to a standard snare, Earthtone heads are well rounded helping to eliminate snare overtones. When you change out the resonance head, the plastic tones are removed leaving nothing but warmth. The resonant heads have an inside dimension of their size plus 1/8". The thickness ranges from 10-15 mils, slightly thicker than a standard snare side head, but remember, they're natural. Replacing the drumhead is easy, since it is mounted just like a Mylar head.